Lots of space, lots of seats, lots of possibilities….. 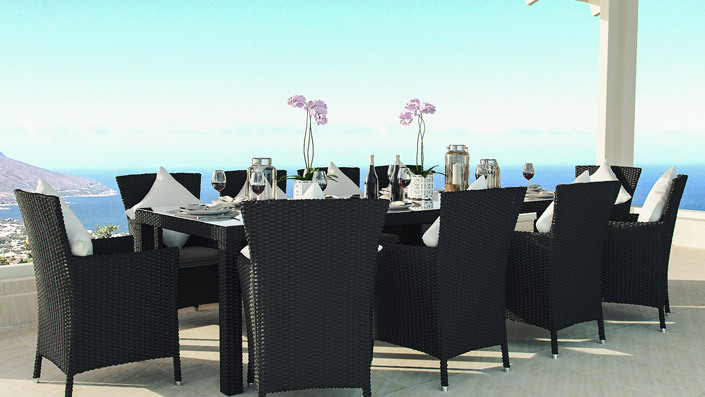 The largest dining set in our CERES range will certainly draw a few envious glances from friends and neighbours. This really is the perfect set for larger families. 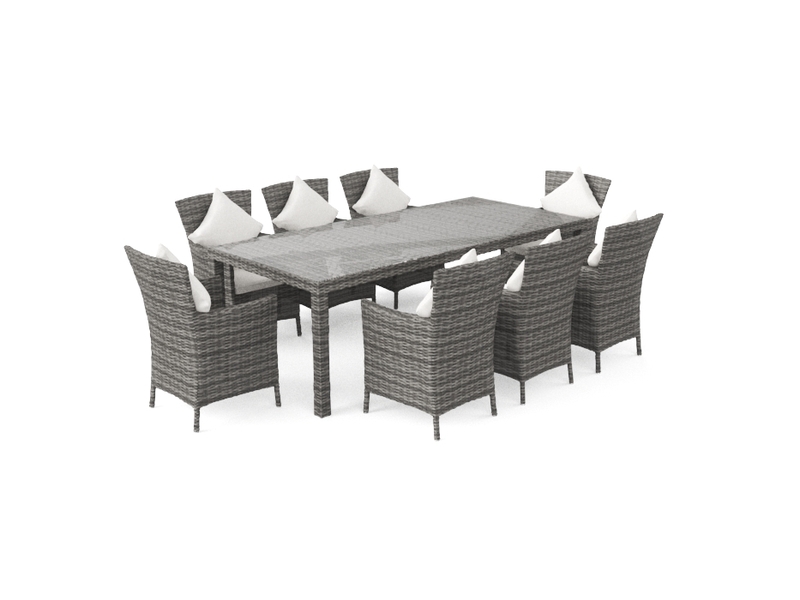 Everyone can dine alfresco as there’s plenty of space! 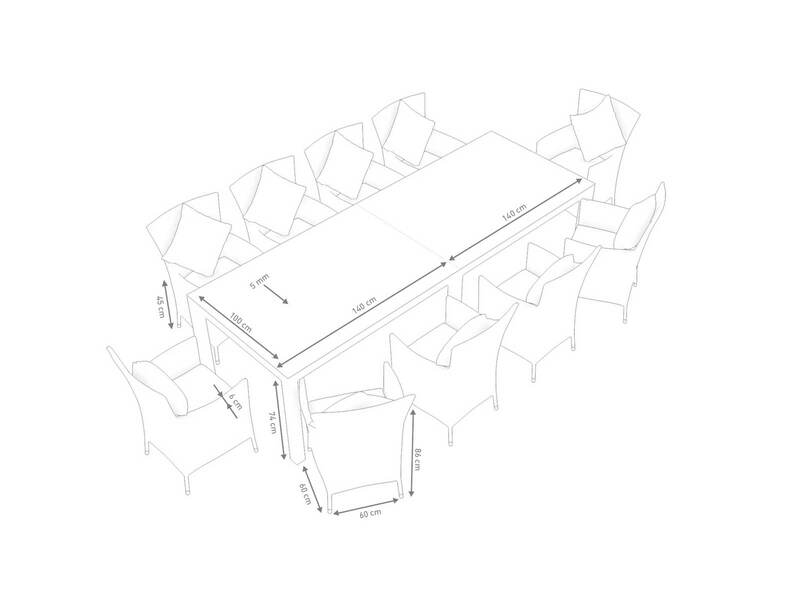 Which one of your friends is already equipped with a 10 seat dining set with a 2.8m long dining table? 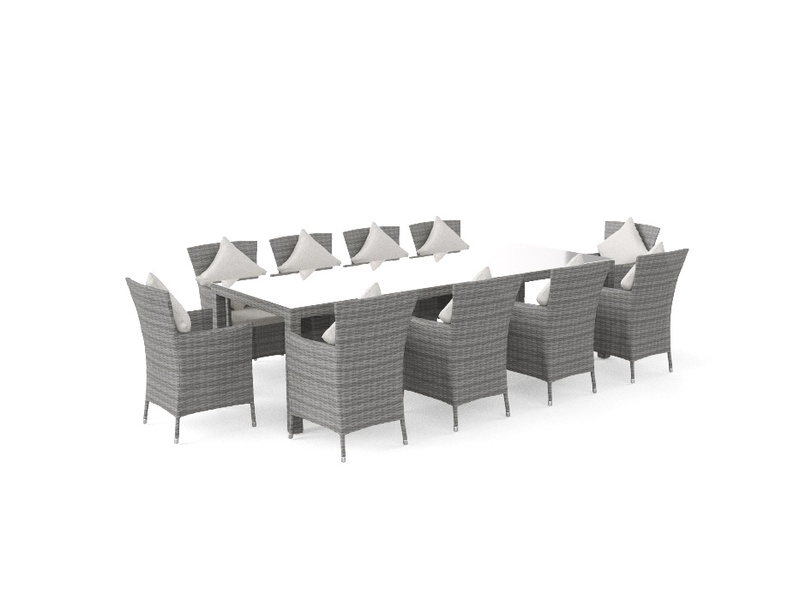 It’s not only the size of the set that’ll impress your friends, but also the classic design of the comfortable chairs. 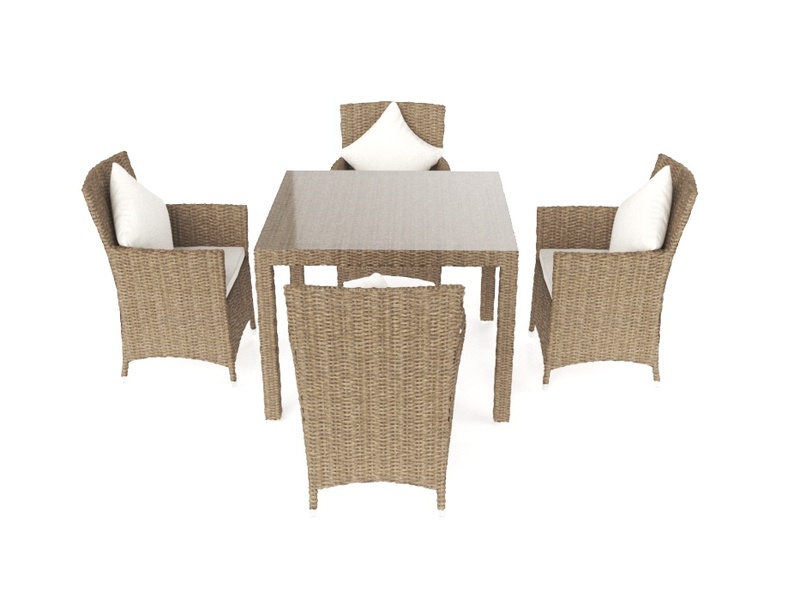 High-quality rattan is hand-woven round a lightweight, powder-coated aluminium frame. 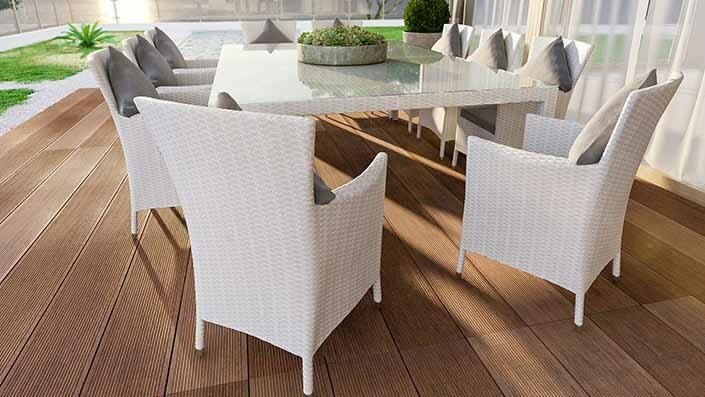 The sturdy table is topped with a 5mm thick safety glass table top. 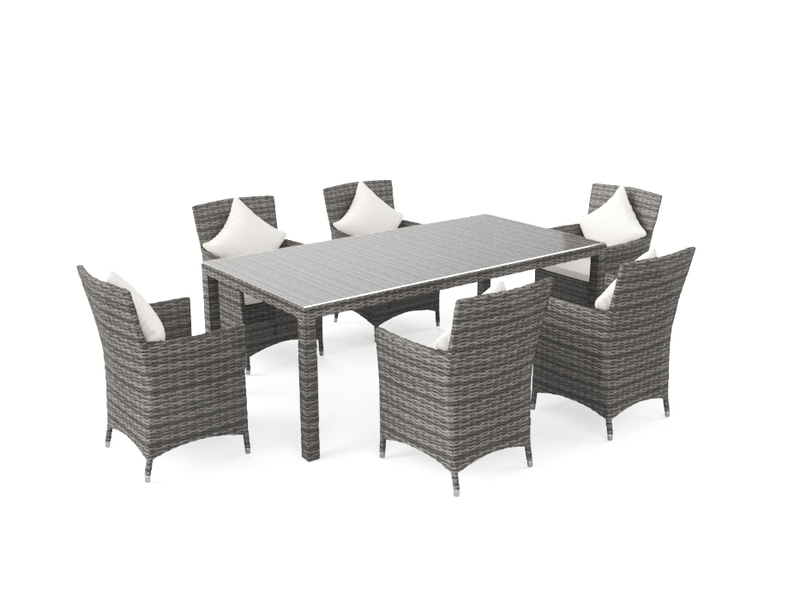 All these materials are weather-proof, so you can leave your set outside all year round! We want to make sure that you’re really comfy. That’s why we include seat and back cushions for the chairs in the delivery.